Get in touch with our sales reps at 020 3746 3201 or just fill in our contact form and we will quickly provide you a non-obligatory price offer. Can the technicians clean up my stove? Yes, but when the kitchen stove has not been cleaned up for a while, consider our expert oven cleaning service. Your powerful cleanup will be completed using professional detergents and the benefits will definitely be better. You could even have a discount whenever you combine this service with your general cleaning. In a more compact property you will not need weighty appliances lifted, and reserving a single professional is fine. If you want lots of work carried out quickly, require a few cleaners. Keep in mind you must notify us in advance if cleaners have to supply the cleaning detergents and tools. Better Cleaning Company is a highly praises expert cleaning services provider which only works with the most effective one off cleaners in South West London SW. We have designed and integrated in depth basic safety quality techniques, plus a list of all cleaning chores which can be incorporated in our top-class one off cleaning service. You pick the jobs you want carried out, and we will complete them in a professional manner if you have booked an adequate amount of. We are specialised in providing quality spring cleaning in South West London SW to the residents and firms in the region before, throughout as well as after the spring season. Our qualified cleaning technicians work on hourly basis and will certainly clean anything that you request if the time is enough for the task to be completed. You decide what needs to be cleaned and we will perform it with professional equipment and solutions! We can freshen up any room, surface, appliance, or anything you require to be professionally cleaned. Request A Free Quote & Get One Off Cleaning Right Now! 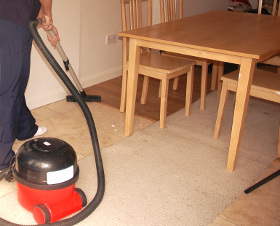 Our one off cleaning South West London SW company had set up a very efficient system for easy appointments. You may make contact with our 24/7 customer phone line via phone 020 3746 3201 or via our web based reservation form to get our service all year. We offer high quality cleaning at reasonable prices. No upfront payment is necessary. If you blend more than one of our services in the same order, we will lower the cost of every extra service by up to 15%.